When will be Noddy (1998) next episode air date? Is Noddy (1998) renewed or cancelled? Where to countdown Noddy (1998) air dates? Is Noddy (1998) worth watching? The character Noddy first appeared in books since 1949, and has appeared in television since 1955 and is usually presented in stop motion animation or CGI that looks like stop motion. In 1998, Noddy became like several other PBS TV series such as Theodore Tugboat, Jay Jay The Jet Plane, and Shining Time Station starring Didi Conn which presented "Thomas The Tank Engine" episodes. This Noddy series from 1998-2000 was similar to those series because it presented live action segments along with the cartoons. The cartoon sections are taken from the UK series Noddy in Toyland , but with the voices redubbed by Canadian actors. The live action segments' setting is in a shop called "Notions, Oddities, Doodads, And Delights Of Yesterday". Its specialties are antique toys. Some of the regular toys that appear to be not for sale is a goose that travels on wheels, a weasel in a box, a box of wax lips, and a bust statue. There are small people that live in a doll house. The parents speak in gibberish and the son who speaks clearly often complains about their mischief. The shop is actually the lower level of a large townhouse. A very young boy and his older sister live inside the shop with their grandfather Noah who has very shaky hands and is seen trying to fix toys in frustration. His sister Agatha lives next door in her fancy hat shop. She is often terrified of the little people and thinks they are mice. Towards the end of each episode there is a Noddy segment set in Toy Land. It features the characters Noddy, Big Ears, Little Ears, Car, Mr. Tubby, Mrs. Tubby, Master Tubby, Tessie Bear, Bumpy Dog, Officer Plod, Mr. Train Driver, Miss Harriet, The Skittles, and many others. 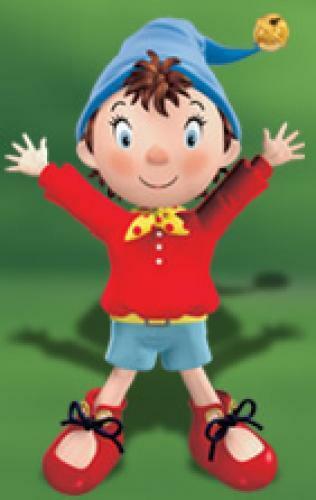 Noddy is a naive elf that has eyelashes similar to SpongeBob SquarePants. Noddy is friendly but is often frustrated by the annoying Bumpy Dog, and the annoying Master Tubby, and every evil villain. The live action half of Noddy ended in 2000 with the series finale where Noah almost closes up the Noddy shop. EpisoDate.com is your TV show guide to Countdown Noddy (1998) Episode Air Dates and to stay in touch with Noddy (1998) next episode Air Date and your others favorite TV Shows. Add the shows you like to a "Watchlist" and let the site take it from there.